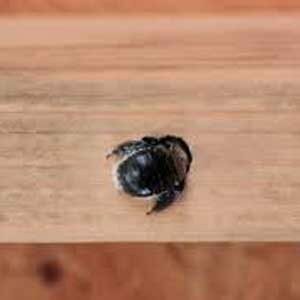 Carpenter bees are amazing insects that can cause some serious damage to wood structures. Carpenter bees resemble bumble bees, but they have very different nesting behaviors. They bore very long tunnels into wood and divide these tunnels into cells, creating very complex galleries. While carpenter bees are non social insects, multiple females may infest the same structure at different locations. 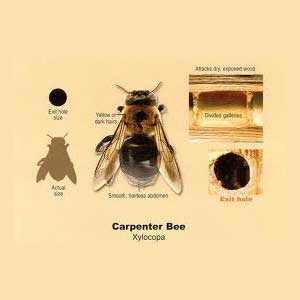 Carpenter bees complete one generation per year. The eggs are laid in the spring, and larva and pupa develop in the closed cells during the summer. Adult bees emerge in late summer and return to the same tunnels to hibernate over the winter. In the spring, the adults mate and the females lay eggs, completing the cycle. This is what Carpenter Bees damage and nesting activity looks like. It could get much worse, especially if woodpeckers start attacking it. Do-it-yourself techniques rarely work. 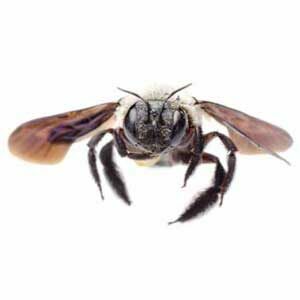 Because of the protection in the chambers, it is highly recommended that a specialized carpenter bee pest control program is set up, as a one time application will have limited effectiveness. Nature’s Way Pest Control injects a naturally formulated product into the galleries to rid your home of carpenter bees. 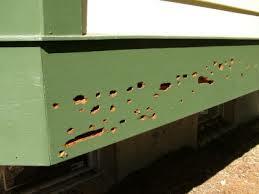 If you see carpenter bee activity, contact us for a free inspection. We also provide honey bee and bumble bee extermination and hive removal. 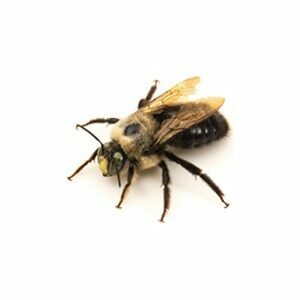 For carpenter bee pest control in New York, call (518) 745-5958. 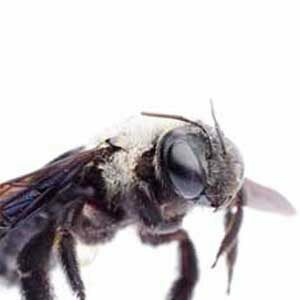 For carpenter bee pest control in Vermont, call (802) 855-2978.